MillCreek Flooring™ is a 100% waterproof flooring with a synthetic wood finish. Available in three colors, it is our most beautiful basement flooring option available. 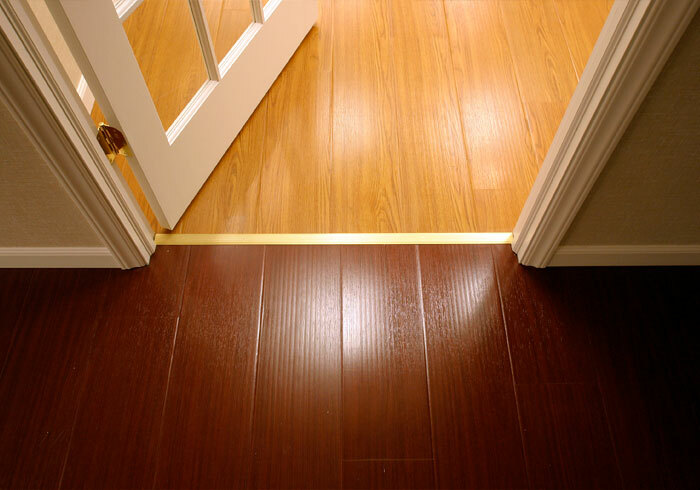 This warrantied flooring installs quickly (typically within two days) and uses no nails or adhesives during installation. 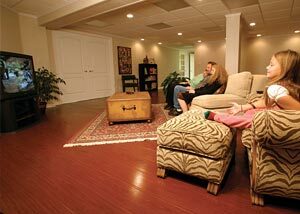 MillCreek Flooring™ is a popular option for homeowners who'd like to create a warm, comfortable living room. Other popular applications for MillCreek Flooring™ include installing it in a home office, personal workout room, and in a basement bedroom. Many basement flooring options require a wood or chipboard sub floor to be installed underneath, providing a foundation for your floor installation. 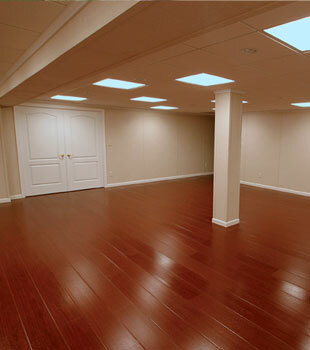 MillCreek Flooring™ installs with no separate sub flooring system underneath. At 3/20" (3.88mm) height, it takes up virtually no head room -- which can be a valuable commodity in a finished basement! This innovative flooring option is created with a patented process that produces the textured grain of hardwood out of PVC. This makes it fully washable, stain resistant, and built to last. Unlike traditional hardwood, which can swell, buckle, and rot when a basement floods, MillCreek Flooring™ is completely waterproof, and will not be damaged by moisture or humidity. Because it's made with completely inorganic materials, it will not support the growth of mold, mildew, rot, or other odor-causing sources. 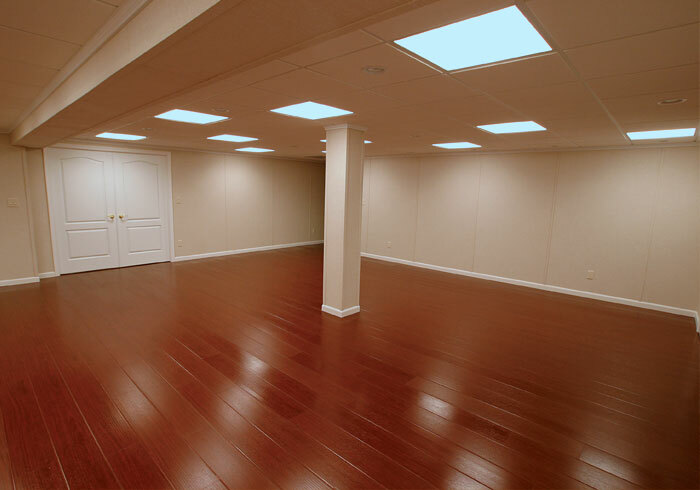 Bring A Stylish New Look To Your Finished Basement! There are few flooring designs that create the warm, beautiful, and comfortable ambiance that's created when installing natural hardwood flooring. MillCreek combines this appeal with a warrantied product -- one that's specifically designed for the unique conditions of a basement environment! 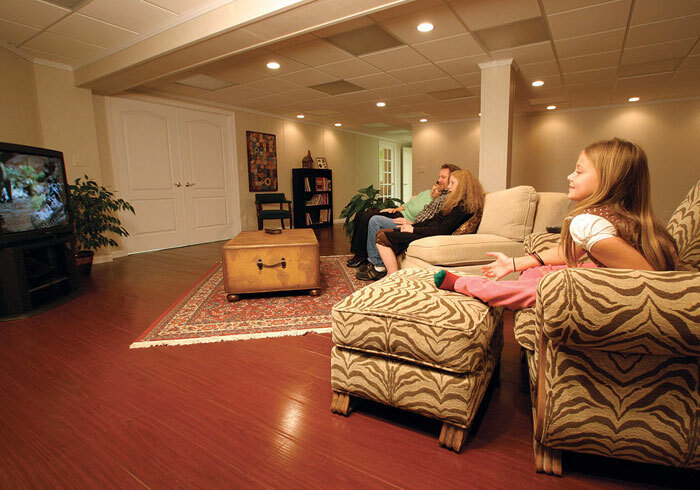 We want to help you upgrade your basement! 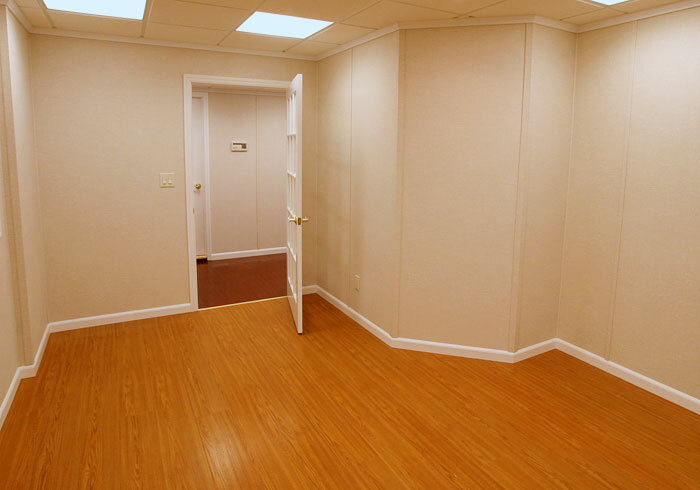 Contact us today, and we'll set you up with an appointment for a free, no-obligation basement floor finishing quote from your local authorized Basement Systems Dealer. 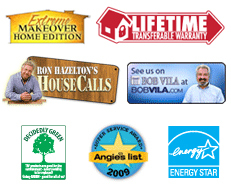 Your free quote will include a professional inspection and measurement of your floor and a free written cost quote! We'll answer any questions you have about our products and services, and show you the options we can provide for your floor finishing. And before we visit, we'll mail along a complimentary copy of our full-color waterproofing book! Our International Network includes dealers operating throughout Canada, the United States, Ireland, and the United Kingdom. 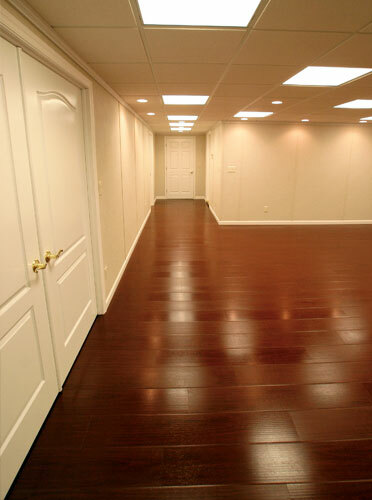 No matter what you'd like your basement floor to look like, we can provide a customized solution for you!